In the aftermath of the Purging, the Deadbringers are no more. The Ascendancy has positioned itself as the land’s dominant power by exploiting the people’s fear of the Deadbringers’ innate abilities to summon souls and reanimate the dead. Yet its hold is not complete, for in the North the Bastion stands in the way of the Ascendancy and its iron-willed elite soldiers, the Sanctifiers. But, somehow, a single Deadbringer has managed to survive. Kira Vidal, a boy of fifteen, has remained hidden, living peacefully with his uncle in the northern city of Opulancae under the Bastion’s protection. 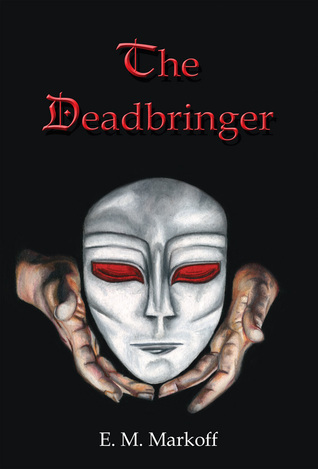 But it seems their luck is at an end when rumors begin to spread, and a strange man shows up at their door, seeking the forbidden services of a Deadbringer. Aware of the dangers should word of his nature reach the Ascendancy, Kira makes a promise to himself to protect his beloved uncle at all costs, even if it means pursuing the limits of his powers … and learning painful truths. Let me start off this review by saying how much I loved this book. I have always had a fondness for dark fantasy especially when it brings a unique texture to the genre. This book does that with a new world and new races. The story is told from several points of view which adds to the richness of the tale. My favorite character has to be young Kira Vidal who while he has some truly frightening abilities also has a heart of gold. In fact, it's his goodness that brings him to the attention of the wrong people so that he and his uncle has to go on the run. I do have to say that the book did start rather slow but that just gave me time to become invested in the characters themselves. And once the pace picked up, I was totally in love with them and the world. My only complaint is that the author does go overboard on descriptions at times. I really don't need to know what everyone is wearing unless it is important to the story itself. I do recommend THE DEADBRINGER to any of my readers who share my fondness for dark fantasy. It is well worth the read and I can't wait for the next book in the series to some out.